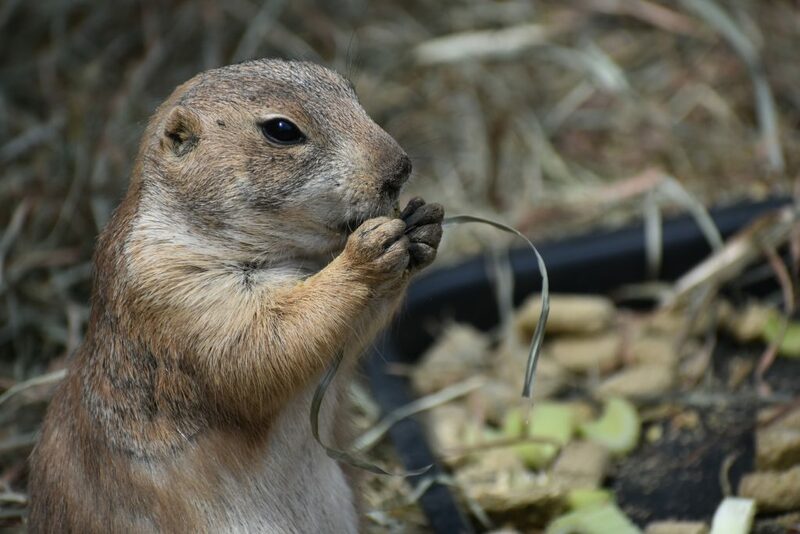 Our playful prairie dogs delight visitors with their vocalizations, playing, nuzzling, grooming, and elaborate system of burrows. The name “prairie dog” comes from its call which sounds like the yap of a small dog. They are actually closest to the squirrel in relations. Prairie dogs live in large colonies called towns, which are composed of small family groups of up to 20 members called coteries. They seek shelter from predators and severe weather in their burrows. In captivity, their lifespan is 8-10 years. 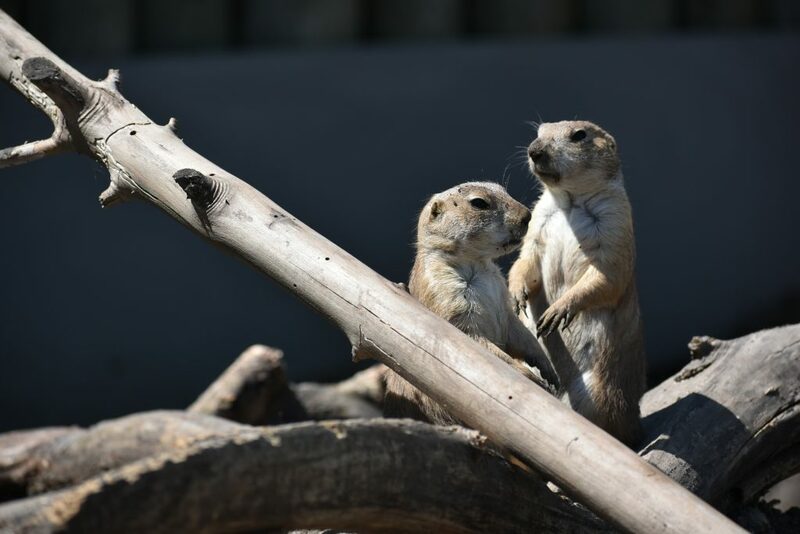 Humans have targeted this rodent with poison campaigns as agriculture and livestock ranching claims habitat previously used by the prairie dog. The main threat, however, is the loss of habitat due to this agricultural expansion.